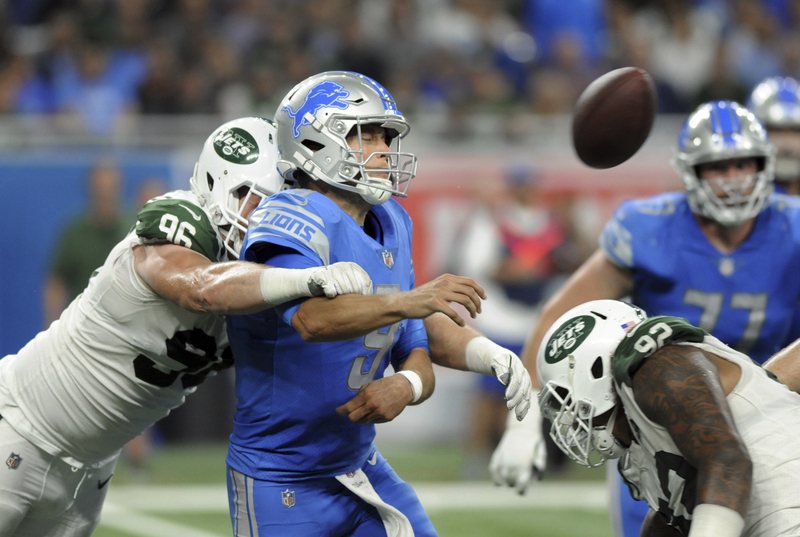 DETROIT (AP) — Sam Darnold made a stellar debut despite throwing a pick-6 on his first NFL snap and the New York Jets intercepted five passes while routing the Detroit Lions 48-17 on Monday night. New York scored on the ground and through the air, on defense and on a punt return. The Jets could’ve piled on even more in the final minutes but turned the ball over on downs after kneeling to take time off the clock. Darnold flipped the ball to a referee after the final kneel down, and the official gave it right back before shaking the rookie’s hand.